Welcome to Premier Outdoor Equipment, LLC of Texarkana. Your Home for Cub Cadet, Scag, Encore, Echo, & Generac Power Equipment. Come check out the Cub Cadet Commercial Pro Z. Beastly machines. Unmatched build and construction beginning with its rail frame similar to industrial tractors and farming equipment, not tube framing. 8" heavy duty spindles with industrial sized ball bearings (almost the size of marbles). Deck construction of triple layered 7 gauge steel. Unlike anything on the market. Pivoting front end for a super smooth ride and a weight adjustable suspension seat. 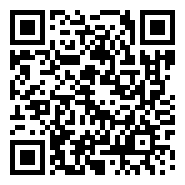 Scan the QR Code above to Download our new Android App in the Google Play Store. 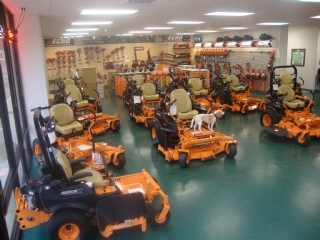 We also sale and service Encore mowers. High quality at reasonable prices. Meet Murphy, our 11 year old Lemon Beagle. Murphy is extremely friendly and loves attention. Murphy is trained to greet our customers as they enter our showroom, and walk you to the door when leaving. However, the above statement is subject to change depending on what time of the day it is. 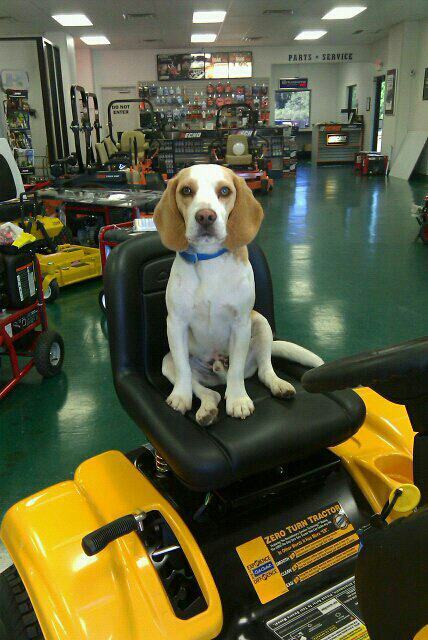 Because Murphy likes to nap in the many mower seats in our showroom. So, should you visit and Murphy not greet you at the door, please know........ he means well, he must just be tired. Murphy has been a regular member of our staff since he was only 10 weeks old. 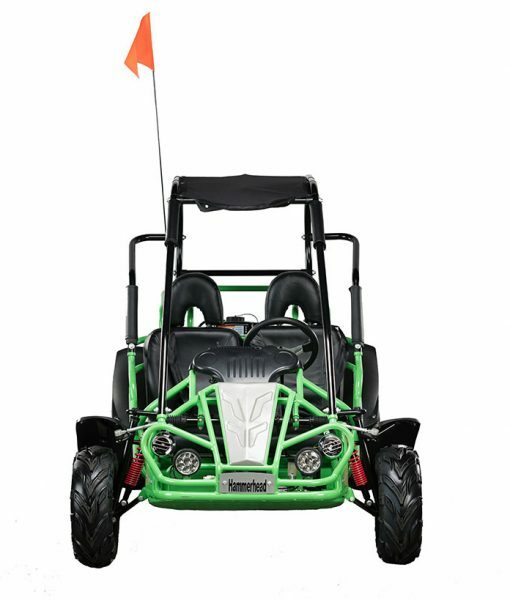 Premier Outdoor Equipment has been selling and servicing the top names in outdoor power equipment for close more than two decades. 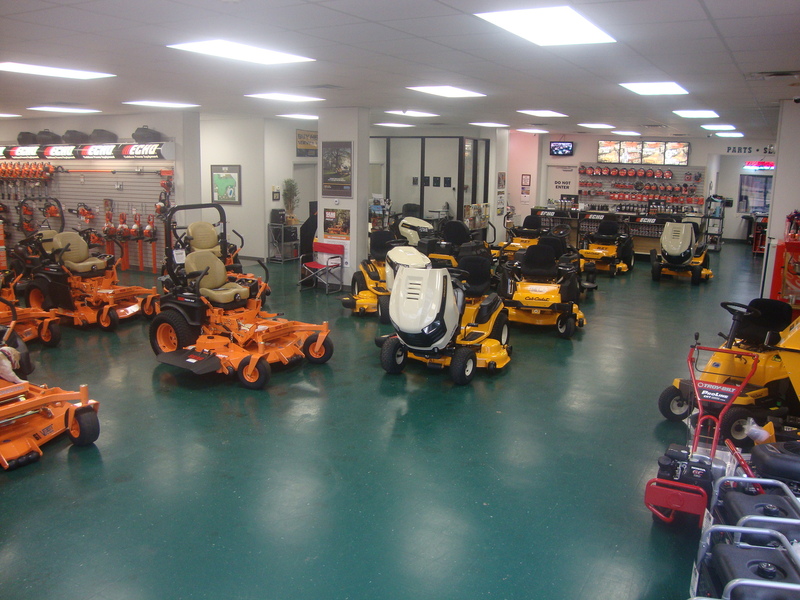 Established in 1997 with a focus on both the commercial cutter & demanding homeowner, we feature the most reliable lawn mowers and outdoor power equipment on the market. Machines that make your job easier, no matter how big or how small that job is. 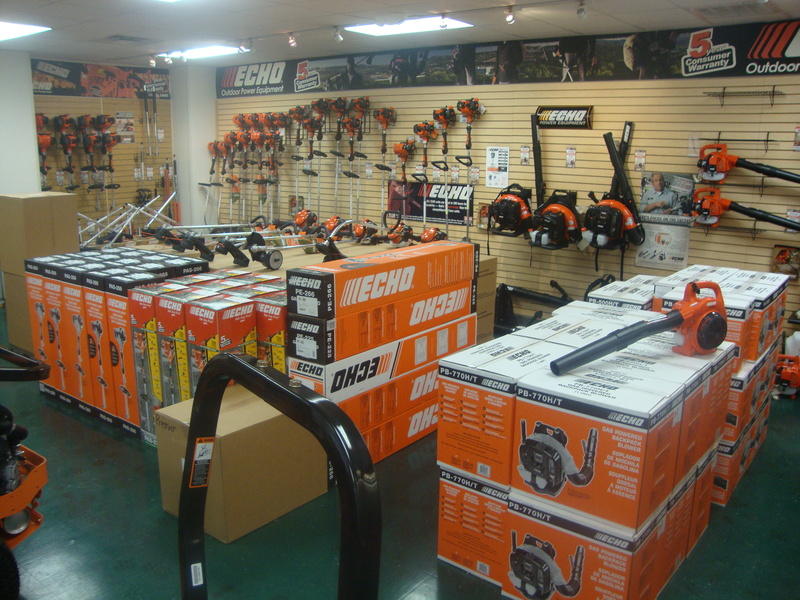 We don't forget about our residential customers either, with a wide variety of power tools and equipment for homeowners too.Premier Outdoor Equipment is committed to quality as shown by our award winning line-up of equipment including mowers from Scag Power Equipment, Cub Cadet ( Residential and Commercial ), TroyBilt, Encore, Echo, and Billy Goat. Our commitment to our customers goes well beyond the sale too, with a well stocked parts department, and a top-notch service department that's second to none, we make sure your machines are taken care of. 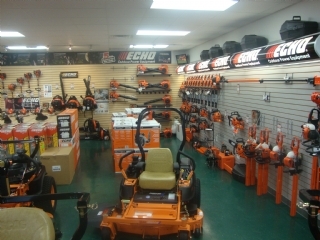 If you have any questions about our lawn mowers or other outdoor equipment, don't hesitate to let us know, or stop by and see us, we'll be glad to help out and answer any questions you may have.